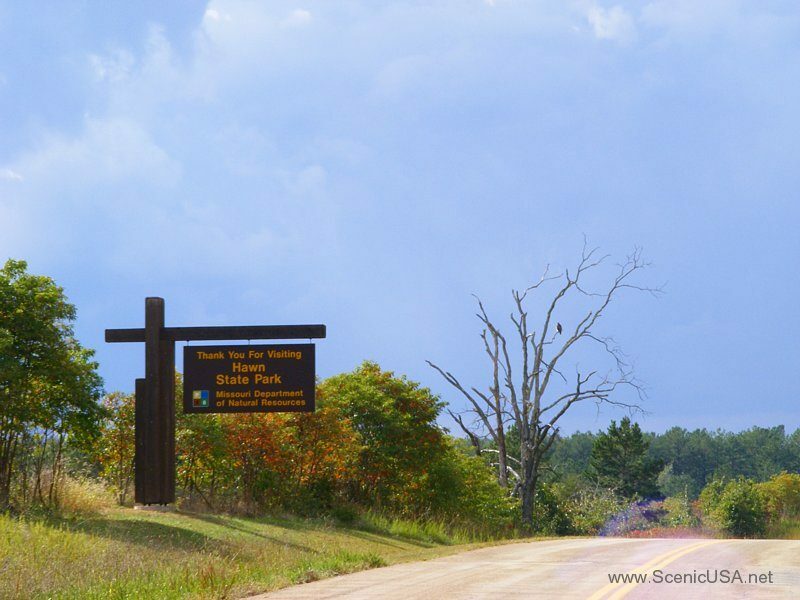 Many visitors believe that Hawn State Park is the loveliest of Missouri's state parks, with forests of pine and oak, sandstone bluffs and canyons, and clear sand-bottom streams. 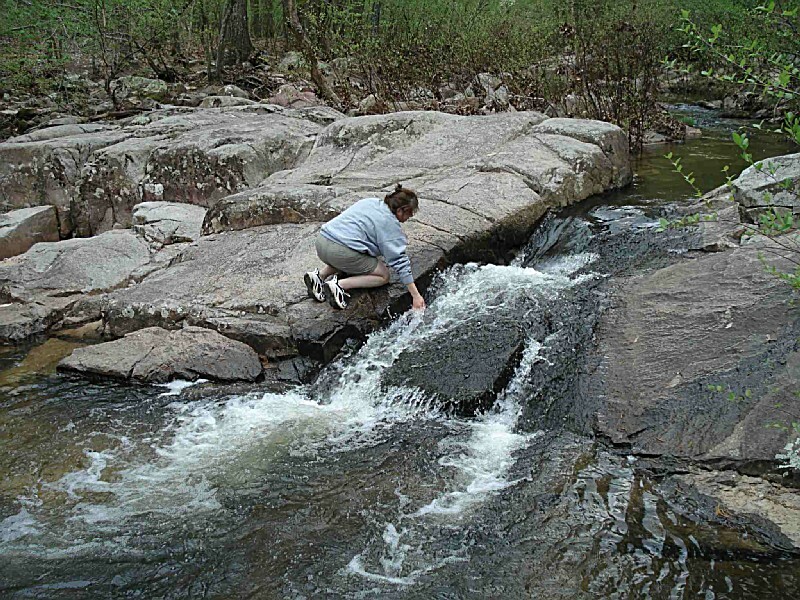 The park's many trails, picnic areas and campground are well suited for visitors wishing to enjoy the splendor of nature; it is truly a nature lover's paradise. 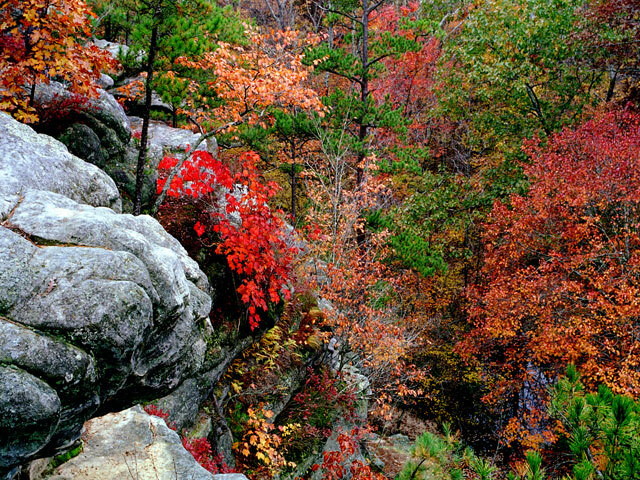 The 4,953-acre park preserves some of the finest areas for viewing Missouri's wide variety of natural wonders. The 2,880-acre Whispering Pine Wild Area offers excellent opportunities to backpack, bird watch or study nature. 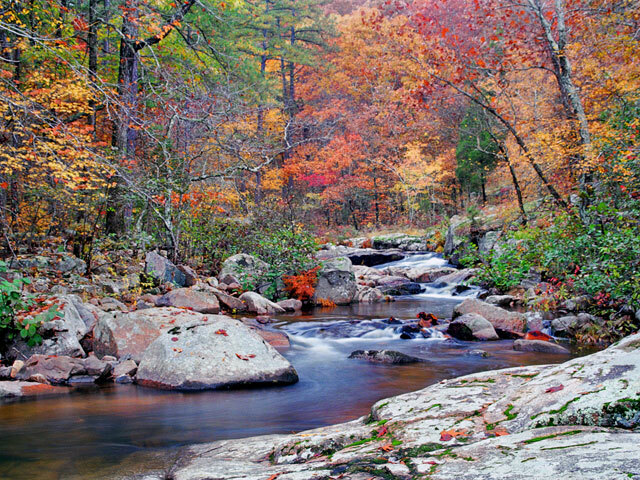 Covered with pine, oak and flowering dogwood trees, the area is home to a diverse set of plants, animals and birds. 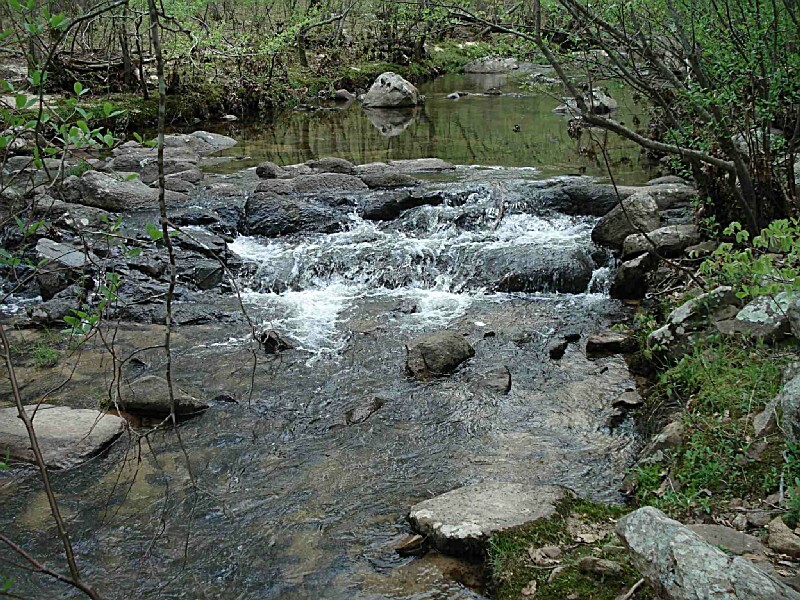 Pickle Creek, because of its high quality and pristine nature, has been designated as a state natural area. 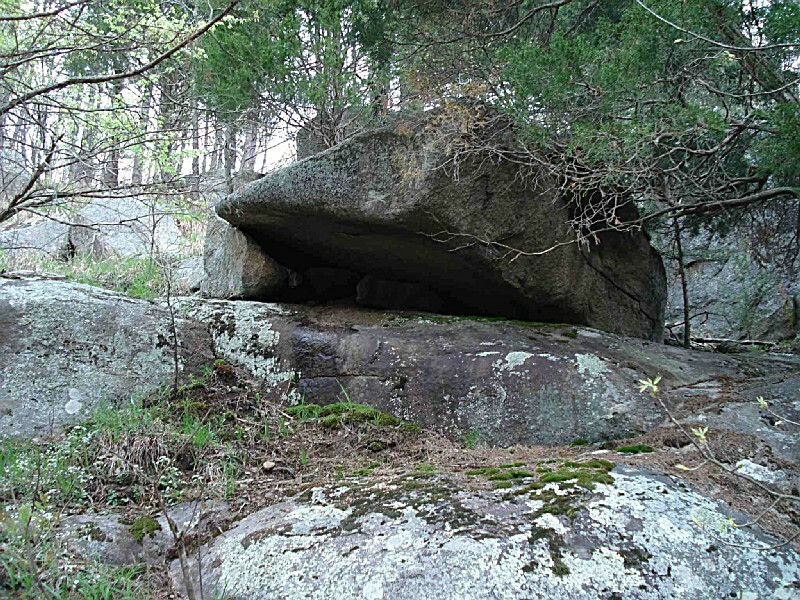 It is also one of the few places in the state where visitors can see such a wide variety of rock types exposed at the surface. Enjoy a quiet lunch at one of the many picnic tables that dot the sandy, pine-needle-covered forest floor. 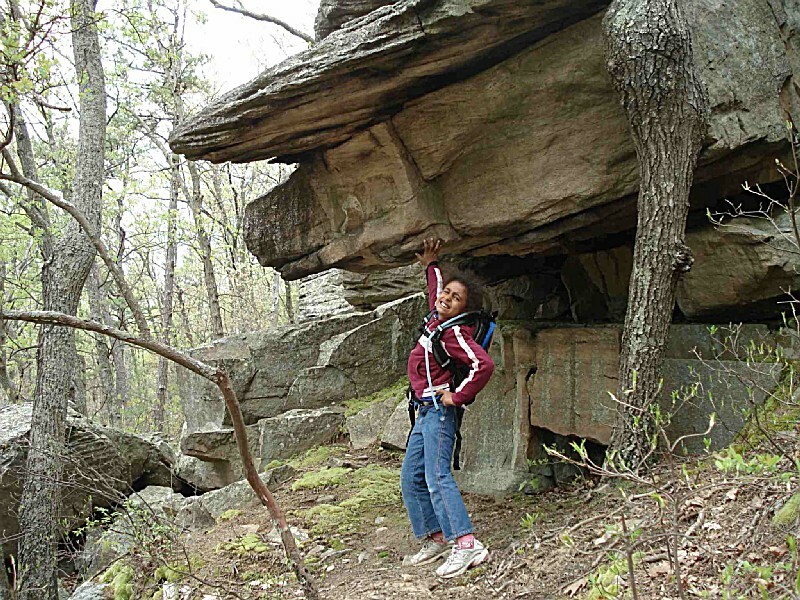 Hike along some of the most scenic backcountry trails in Missouri. 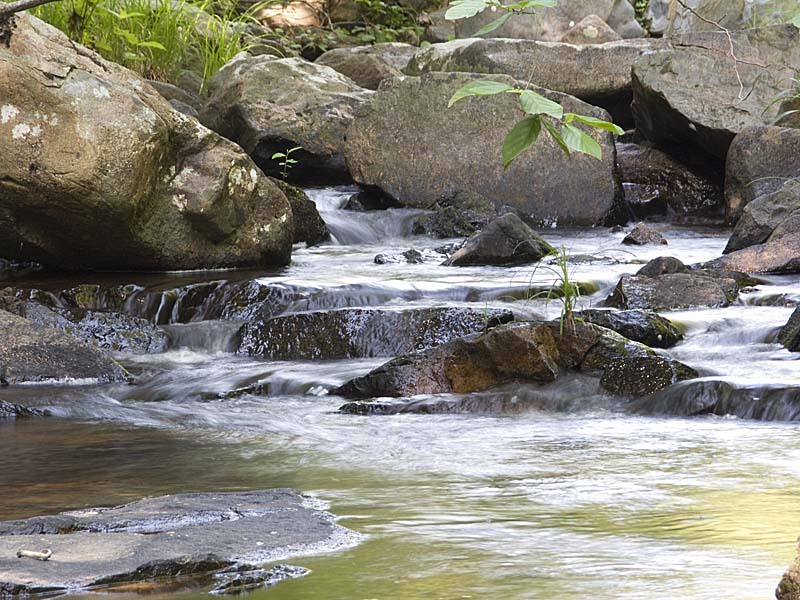 Hawn State Park is the perfect setting for visitors eager to explore the unspoiled natural beauty of the Show-Me-State. 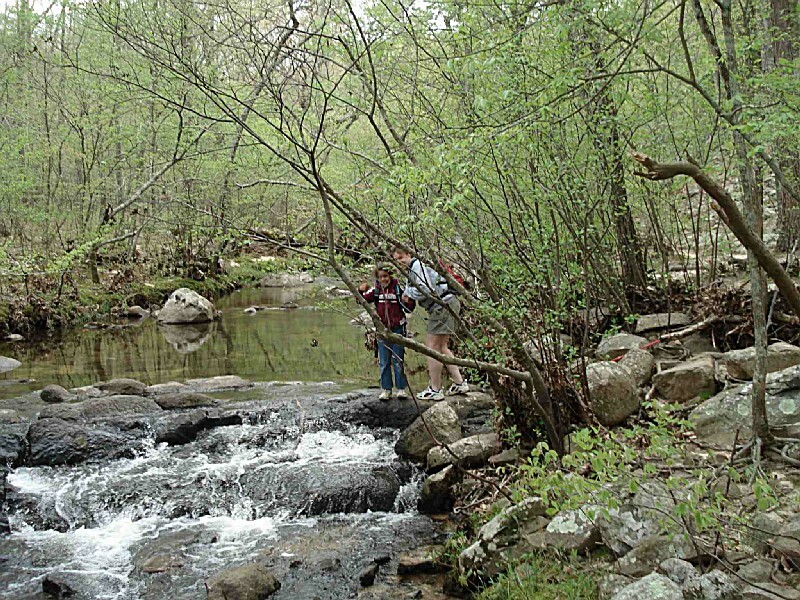 Hawn State Park offers basic and electric campsites. Services available include reservable sites, a dump station, showers, water and laundry. Campsites 1-9 are open year-round. Campsites 10-50 are open April through October; from November through March, 10-50 are used only for overflow camping. For reservations, there is a required two-night minimum stay on weekends from April through October and major holidays from May 15 through Sept. 15. To relax with an afternoon picnic, visitors can choose from the 30 picnic sites nestled under the pine trees. An open picnic shelter, approximately 100-person occupancy, can be reserved at the park office for $30 per day. If not reserved, the shelter may be used on a first-come, first-served basis at no charge. The shelter includes two outdoor barbecue grills and picnic tables. 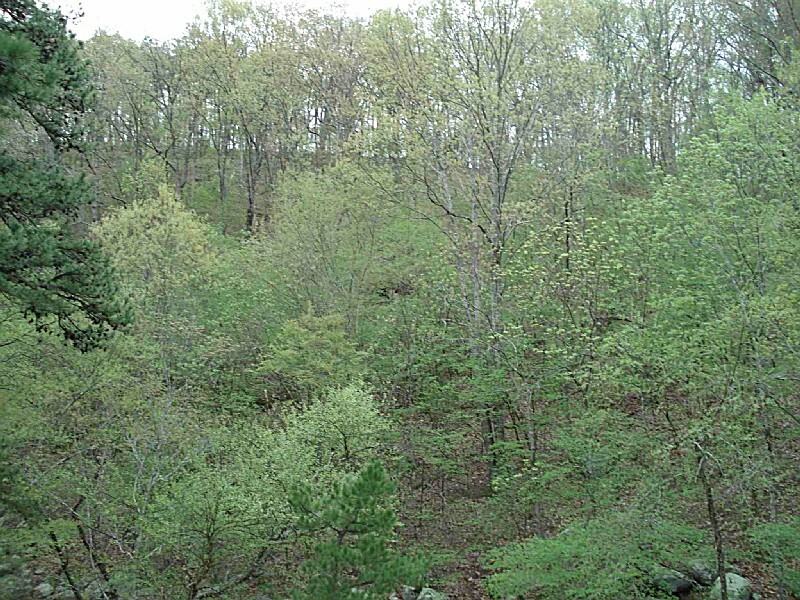 Whispering Pine Trail was constructed in 1976 and 1977 with the help of the Ozark Chapter of the Sierra Club. This effort has resulted in what is generally considered to be one of the best hiking and backpacking trails in the state. The trail consists of two loops: the north loop is approximately six miles long and the south loop is approximately four miles. 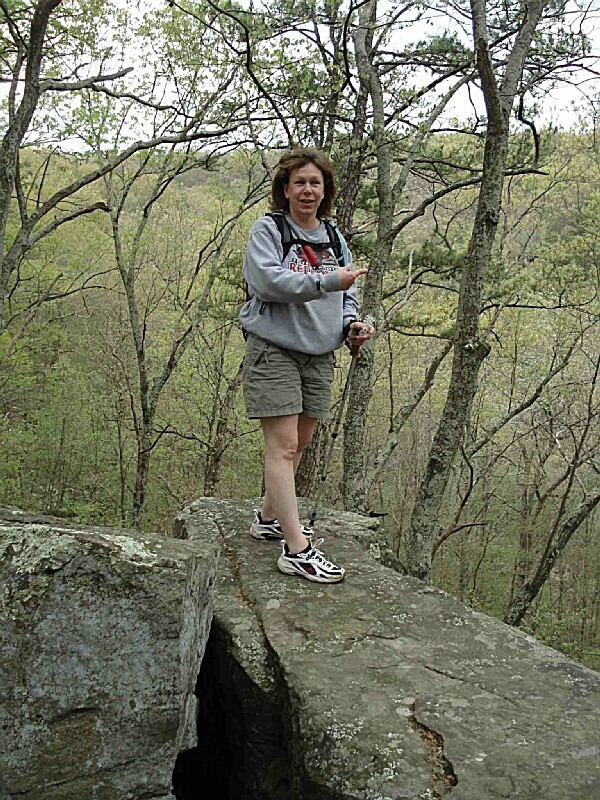 The trail provides the opportunity for day hikes of varying lengths or a longer backpacking trip. 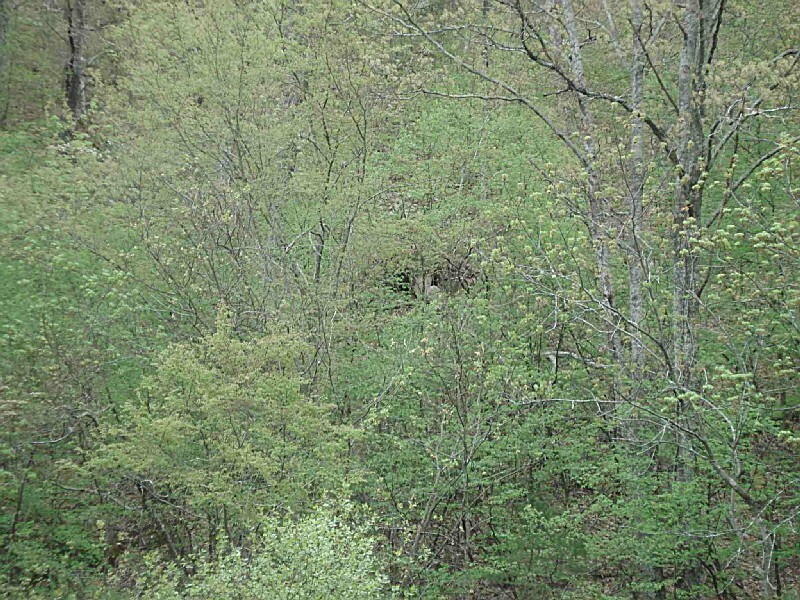 It meanders through a beautiful mixed hardwood and pine forest, which is home to a variety of animals such as bobcat and wild turkey. 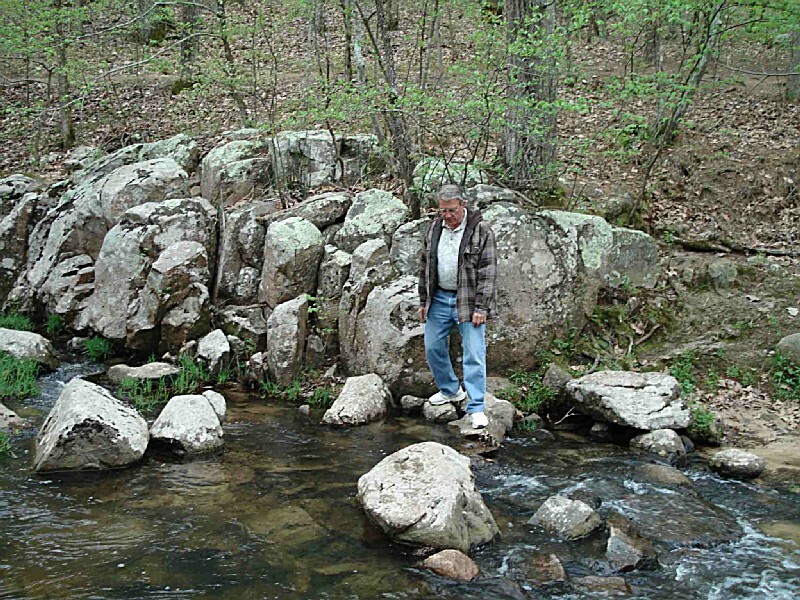 Extensive exposures of sandstone and granite can be explored along the banks of Pickle Creek and the River Aux Vases. 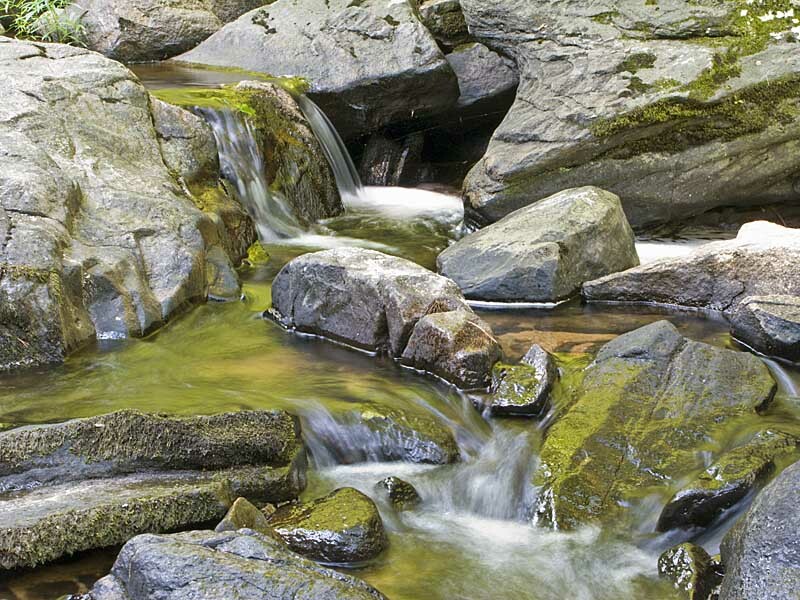 Mosses and ferns create a luxurious effect on the moist overhangs that occur along the two streams. Whispering Pine Trail can be reached by turning left at the park entrance and proceeding to the picnic area where a parking area is provided. Water is not available at the trail head, but can be obtained at the park office or the campground. 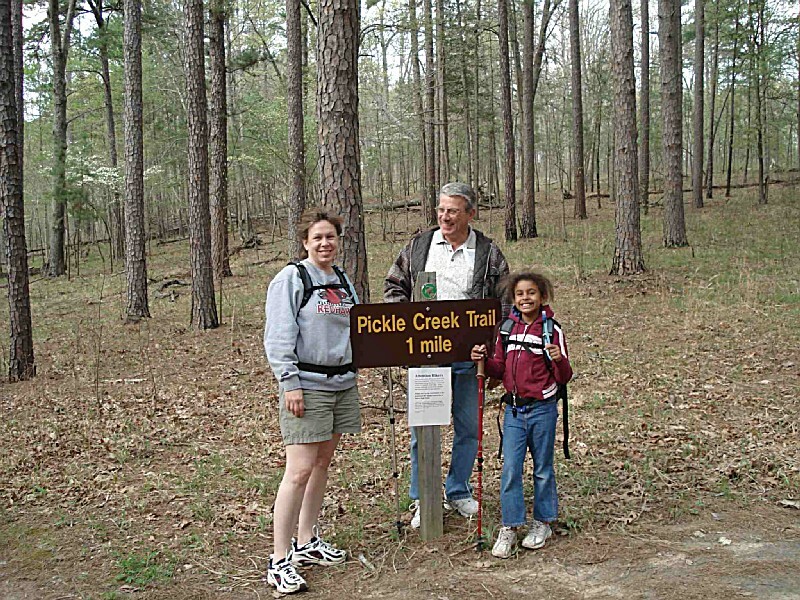 Pickle Creek Trail begins at the picnic area located between the park office and the campground. 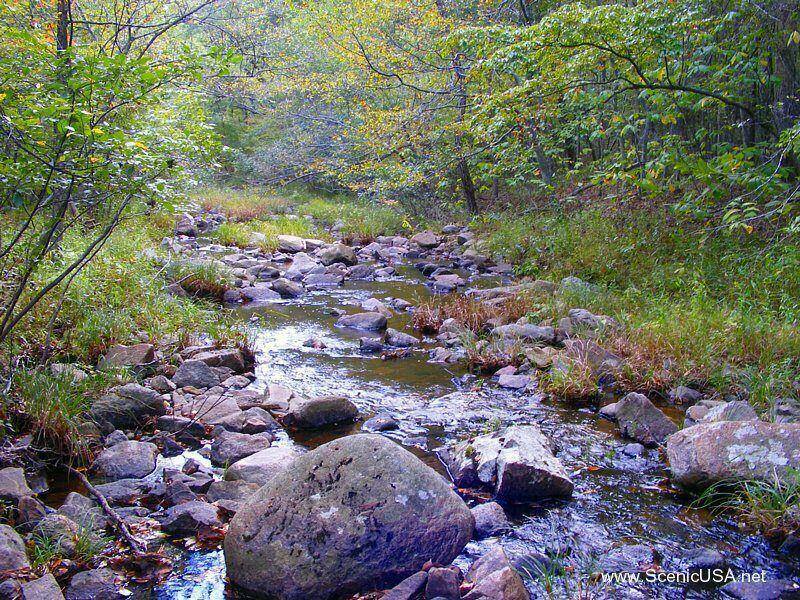 The entire trail follows Pickle Creek, which is a beautiful shut-ins stream. 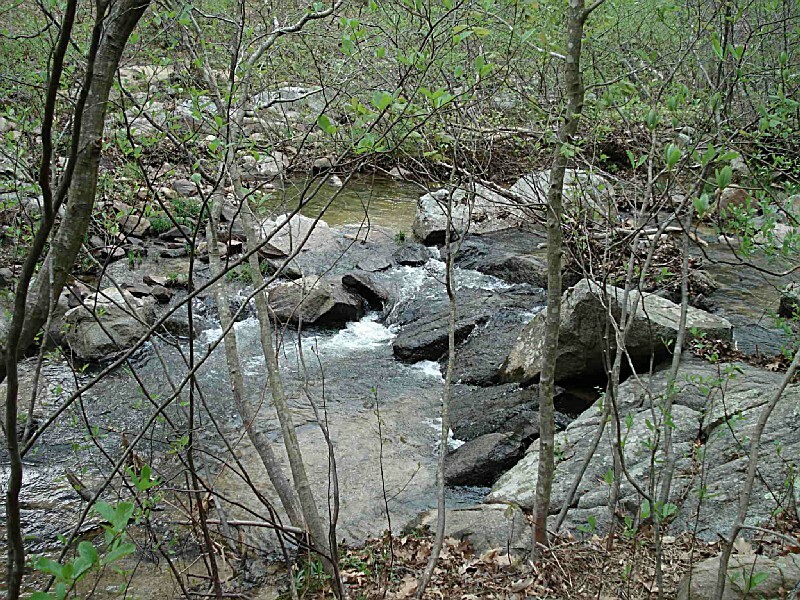 This persistent stream has carved its way through the surrounding sandstone to its present course. 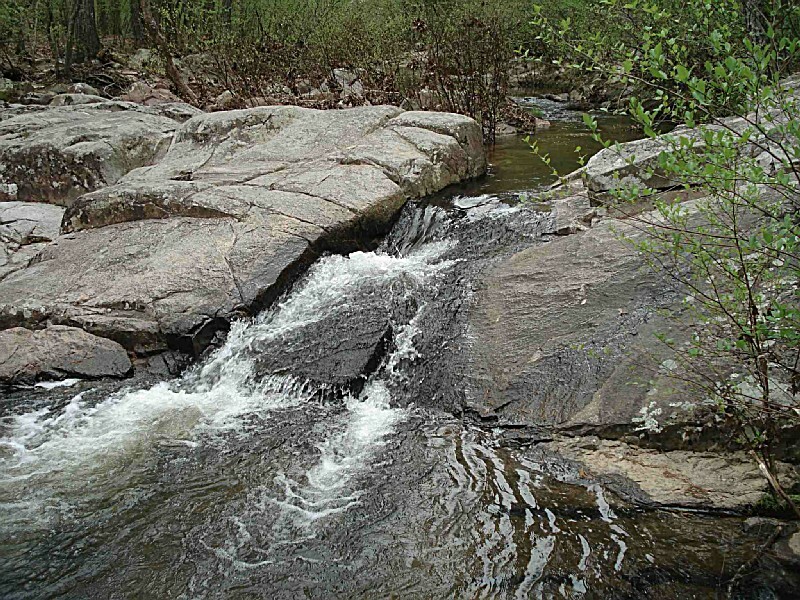 The result is a clear, sandy-bottom creek strewn with water-sculpted granite boulders and numerous exposed sandstone bluffs. 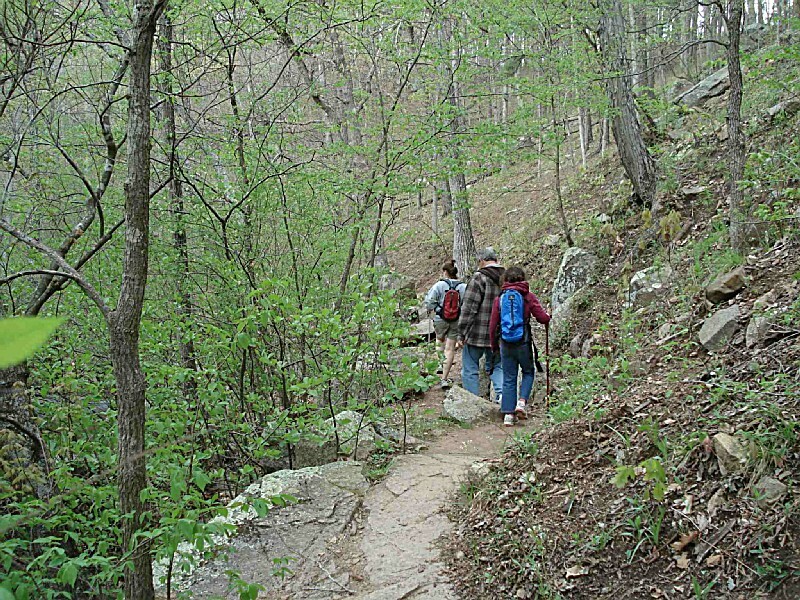 The trail provides a point-to-point hike, although a loop hike is possible by returning on a portion of Whispering Pine Trail that traverses the bluffs on the opposite side of the creek. From May through August, a seasonal naturalist provides regularly scheduled interpretive programs on weekends. 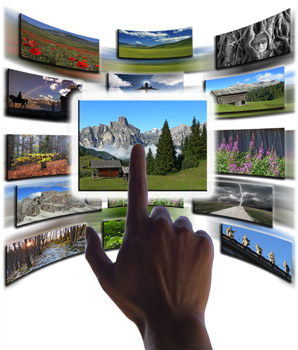 Programs include nature hikes, slide shows, nature bingo and much more. Please contact the park office for additional information regarding interpretive programs. All water here seeks the Mississippi. 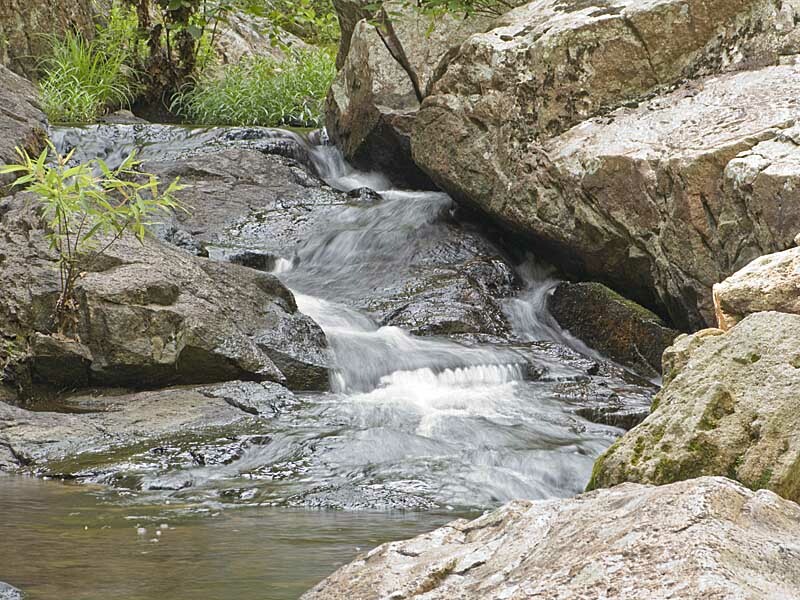 Water has for many hundred million years carved the rocks of Eastern Missouri into fantastic and delicate shapes. Nowhere will you see that more dramatically displayed than at Hawn. Oh, yeah. We had a hellacious rock concert there in 1975. Pristine trails. When you get into the second loop trail you cannot hear any traffic, except an occasional airplane. You can imagine what it must have been like to be one of the first to see it. From St. Louis : Hawn State Park is 60 miles south of St. Louis and 20 miles west of Ste. Genevieve. From south St. Louis, take I-55 south to Exit 150. Exit onto Hwy. 32 and travel west 11 miles to Hwy. 144. Turn left onto Hwy. 144 and travel 4 miles to reach the state park. From Farmington : Hawn State Park is 13 miles east of Farmington. Take Hwy. 32 east 9 miles to Hwy. 144. Turn right onto Hwy. 144 and travel 4 miles to reach the state park.